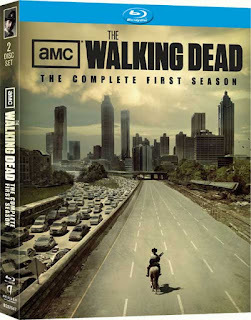 Home » Home Entertainment » Season one of THE WALKING DEAD coming in March. Season one of THE WALKING DEAD coming in March. Anchor Bay will release season one of the Acclaimed AMC series THE WALKING DEAD on March 8th. The series is based on the amazing comic book series by Robert Kirkman and is well worth picking up, even if you are not a fan of horror. MSRP is $39.98 for the DVD and $49.99 for Blu-ray.